Family Office Insights sits down with Aleks Buterman to discuss his new venture Finix, a wealth administration tool for the high-net-worth community. What was the impetus for launching Finix? Finix was launched from an insider’s point of view on the alternative investments industry that was too expensive and too much paperwork for the today’s world. The founding members of Finix experienced the pain points of processing alternative investments from the custodian point of view and found the redundancies that created bottle necks for deal sponsors, RIA’s and investors. Due to that front line experience of the pain points for all users, the automated, online solution was born. Due to alternative investments exponential growth, the industry was craving an automated, standardized solution, which resulted in Finix Solutions. With Finix, our clients (Custodians, Family Offices, Deal Sponsors, Registered Investment Advisors) will have the ability to lower their costs while increasing their transparency and productivity but also increasing deal flow. The platform is built with the resilience of 3-data center setup with Amazon Web Services. It includes an industrial strength integration platform to enable connectivity for all of the standalone systems that dot the landscape of wealth administration. On top of the integration platform, resides the Business Process Management (BPM) layer. This is the heartbeat of the platform – all of the out-of-the-box processes, rules, and configurations that create a wealth administration platform reside in this layer. This enables Finix Professional Services to very quickly configure for unique client requirements without sacrificing the standardized core. Finally, all of these processes and interfaces are available as either specific white label portals that fit into our client’s web and mobile experience, or automated programming interfaces (API) that seamlessly integrate into our clients’ existing technology investments. This platform is well suited for the myriad of unique configurations that financial services firms need to transact business in the future. Our initial rollouts were with Alternative Investment Custodians, because that’s where the need has been the greatest. We have since expanded to include deal sponsors like family offices, hedge funds, private equity funds, equity crowdfunding, and marketplace lending firms. We’ve also started working with Broker/Dealer aggregators to ensure that any vetted alternative security can be administered on the Finix platform. Recently we have started working with Registered Investment Advisors (RIAs) to enable every role that is involved in the alternative investment process to transact their tasks on our platform. How does Finix simplify the process of managing wealth? Finix simplifies the process of managing wealth by having all users of the transaction operating under the same roof. With the investor, custodian, deal sponsor and RIA operating within the same integrated environment, the platform eliminates the miscommunication that is so prevalent in the email and paper intensive process of alternative investing. We remove the need for double, triple, quadruple entry into the various record keeping systems, provide automated compliance and acceptance features, and drastically reduce the costs for our clients. Whether portals or APIs are deployed for each user (RIA, Custodian, investor, deal sponsor), the result is elimination of the errors and frustration with increased visibility, service levels, efficiency, and communication. Who are your key competitors and how are you different? Thanks to a very fragmented and nascent market, the major competitor Finix has encountered to date have been internal Information Technology departments at larger companies. While we anticipated the Trust Accounting System providers, such as Innovest, AccuTech, HWA, Fi-Tek, et al to be our main competition, our entry into the market has shown that we’re a complementary offering to these companies, and we now have formal agreements in place on working together. In other portions, there is no shortage of competing offerings, such as SEI for fund custody, DST for transfer processing, or Addepar for RIA reporting. In each case, however, we have found that since nobody is offering a platform that manages every role in alternative investment space, all of them are finding value in integrating with our APIs to gain access to new markets. What’s next for you and for Finix? A lot of work. We have another four releases of standardized processes to build, test and rollout to our clients. We have to deliver on our first two waves of clients. And we are getting more financial services firms signing up to go on the platform every month, so the work never stops. Meanwhile, we have started to expand our platform to allow modules from verified3rd party providers – like curated apps in the trusted app store. These apps provide anything from Trust Accounting to Secondary Alternatives Markets to alternate method payments that can replace the headaches of checks and the cost of wires. The platform will continue expanding with both our internal development and external modules, which will allow Finix to stay ahead of competition for years to come. Aleks Buterman is the Chief Executive Officer and Co-Founder of Finix. 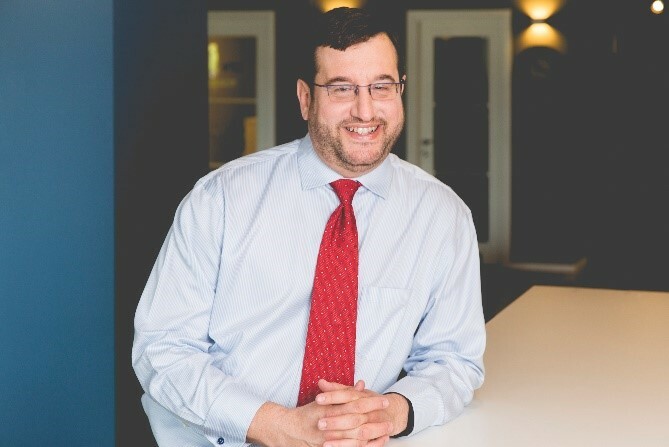 Founding member, serial entrepreneur, angel investor, and business/technology leader with 20 years of operational design and management experience, with focus in financial technology, software product management, cyber security, and cloud platforms. With projects ranging from small startups to Fortune 50 organizations, Aleks has delivered over $2B in benefits through his project leadership. 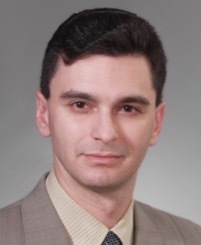 Aleks holds both a BA in Economics and Mathematics from Lake Forest College, and an MBA from Keller Graduate School of Management. For more information, please email Aleks at aleks@finixsolutions.com or visit http://www.finixsolutions.com.